One May morning I am walking through the Cascade Gardens wishing I had my camera. The early light through the deciduous trees is highlighting their gold, red and burnished leaves. Around the trunks fallen leaves are piled thickly. The air is still: full of rich, sweet, memory-laden scents. The man resists the boy’s urge to kick and throw the leaves about the garden. A few mornings later I am walking through the same garden wishing I had my ear muffs. Council workers have driven a truck onto the sloping lawn. There is a huge and noisy machine aboard, with fat hoses – blue and concertinaed – coiling out of it across the lawn. The workers are sucking the garden dry of leaves, raking them into the nozzle of the over-sized vacuum cleaner. There will be no kicking and throwing of leaves today. Over the years I have come to imagine that I know autumn. That is I know the chemistry of deciduousness and the role of chlorophyll in leaves. I understand that chlorophyll not only gives leaves their green colouring, but also helps to convert sunlight into sugar. In deciduous trees, as days shorten, that chlorophyll starts to break down and another pigment called anthocyanin starts to predominate. And it’s anthocyanin that gives autumn leaves their colour. I also know that with shorter days and lower temperatures, the leaves eventually stop taking up any more nutrients. Their on-tree life ends and they fall to the ground, returning precious materials to the soil. That is something of what I “know” about autumn leaves and deciduousness. At the same time I’m aware that the German language has two words for “knowing”: wissen and kennen. The first refers to knowledge about something; the second to a familiarity with a person or place. One is more about facts, the other is more about experience. I find this a useful distinction, though not in an “either/or” fashion. Both facts and familiarity, knowledge and experience, contribute to a deeper knowledge of someone or something. One kennen part of knowing includes that sweet, evocative smell I experienced among the fallen leaves. It is a knowing that dates back to the time I first experienced autumn. It is the sweetness of memory, of familiarity, of deep experience involving all the senses. It adds to my wissen knowledge that the sweetness of the smell is based on the sugars that are being liberated from the fallen leaves in order to feed the next spring growth. Unless, of course, a vacuum cleaner or a troop of small children has cleared them away. 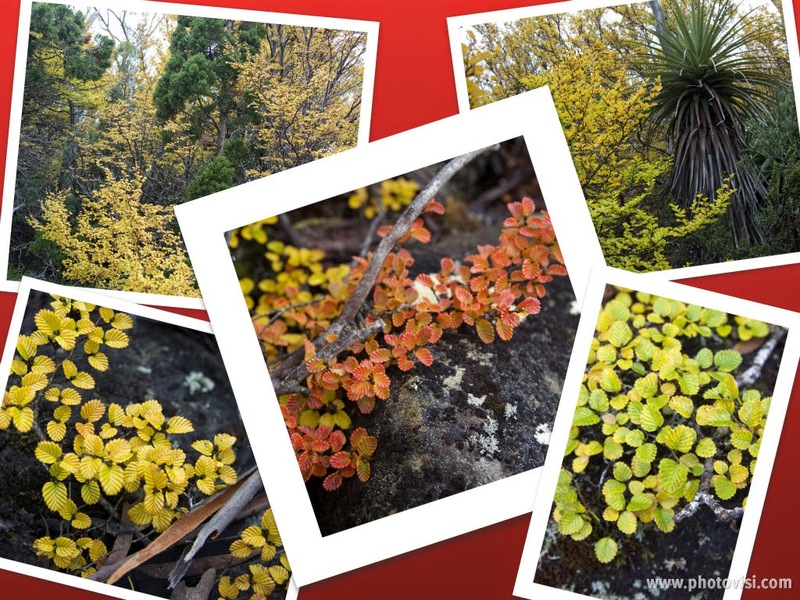 While most Australians will have to go a long way to gain kennen knowledge of native Australian deciduous trees, Tasmanians have ready access to Nothofagus gunnii, the deciduous beech, popularly known as fagus. 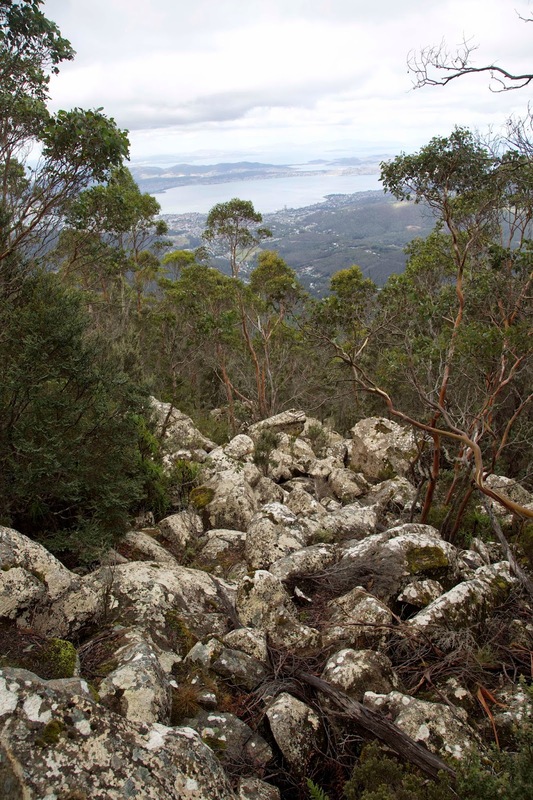 I have reflected elsewhere here on the significance of fagus http://www.naturescribe.com/2010/04/another-side-of-anzac.html Suffice to say it is one of the natural wonders of Tasmania; a phenomenon that never fails to lift my spirit. 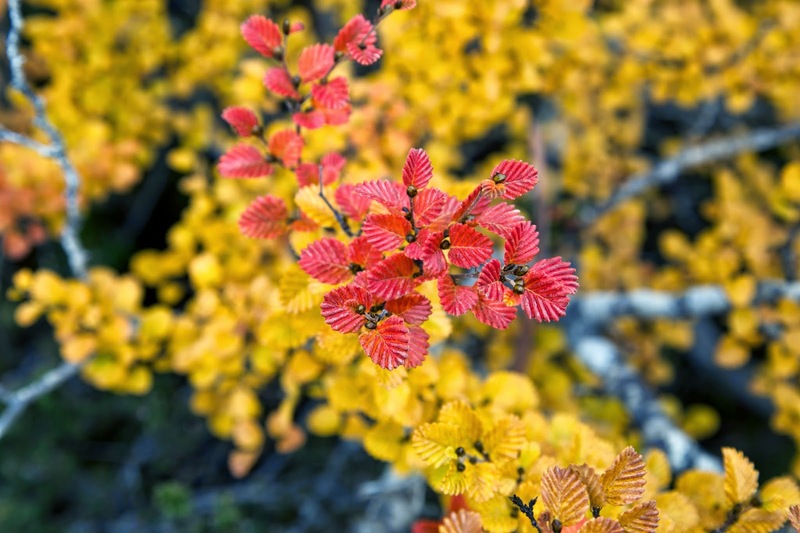 But this autumn I had only limited opportunity to add to my fagus kennen. 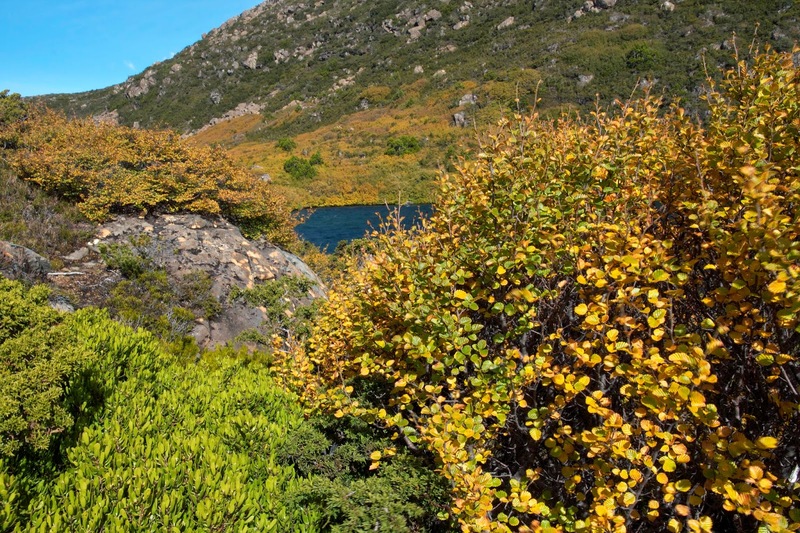 Lake Fenton in the Mt Field National Park has probably the most accessible, and lowest altitude, fagus in southern Tasmania: ideal for the time-poor pilgrim. Around Lake Fenton, in the wet, bleak, thin-soiled boulder fields, is a broad expanse of deciduous beech. For 11 months of the year you would be hard-pressed to find it. 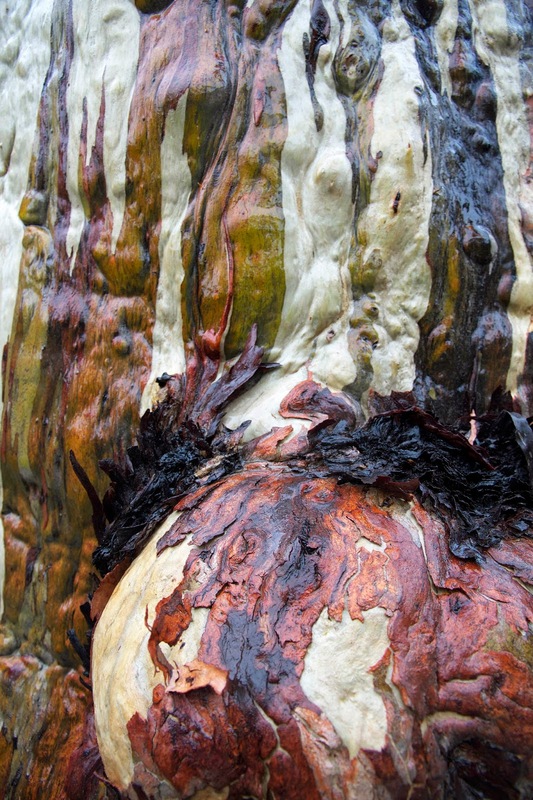 Surrounded by eucalypt and pandani woodland, the trees are bare in winter, and green and over-towered in summer. Only for a few weeks in autumn do they glow; a wide, low, golden flame burning through the surrounding green and greys. The best of it is a 10 minute walk from the roadside. We take care on the slippery boulders; pull hats and hoods around us against wind and showers; wait for an abatement in the weather. Despite the conditions, I notice we are smiling the whole time. It may not be the best we have ever seen, but there is still a minor magnificence to it. We pause and gaze for as long as we’ve got. At least we’re certain there will be no vacuum cleaner coming along to interrupt us. How well do we know our neighbourhoods? Perhaps we can rehearse the names of adjacent streets and nearest intersections; or give directions to the nearest shops or playgrounds. We might also be able to put names to the faces of some of our neighbours; even repeat a few stories about one or two notable – or notorious – neighbourhood characters. But how far back does our knowledge go? Do we, for instance, know what the neighbourhood was like 20, 50, 100 years ago? Even further back, do we know how the land was used before it became city, town or suburb? And do we know anything of past Aboriginal life in our area? 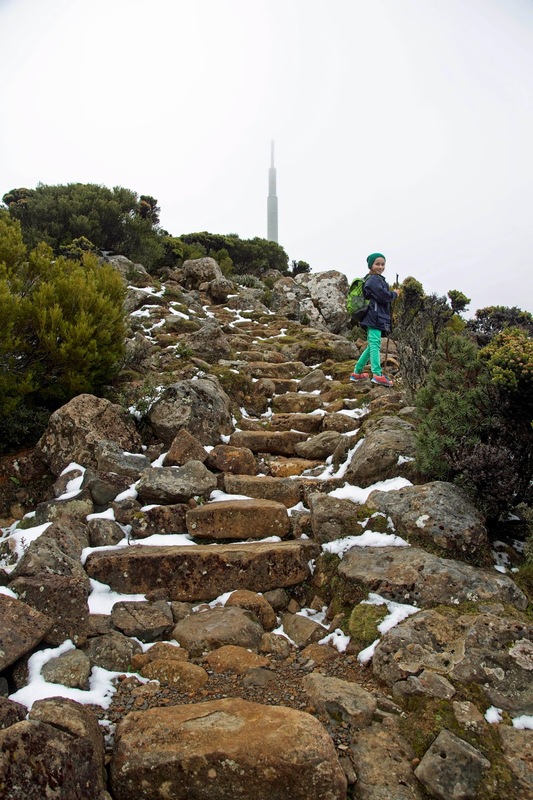 The new Cascade Track had proved a pleasant, gently uphill morning’s walk. Our height gain was modest and our conversations barely disturbed by the mild exertions. 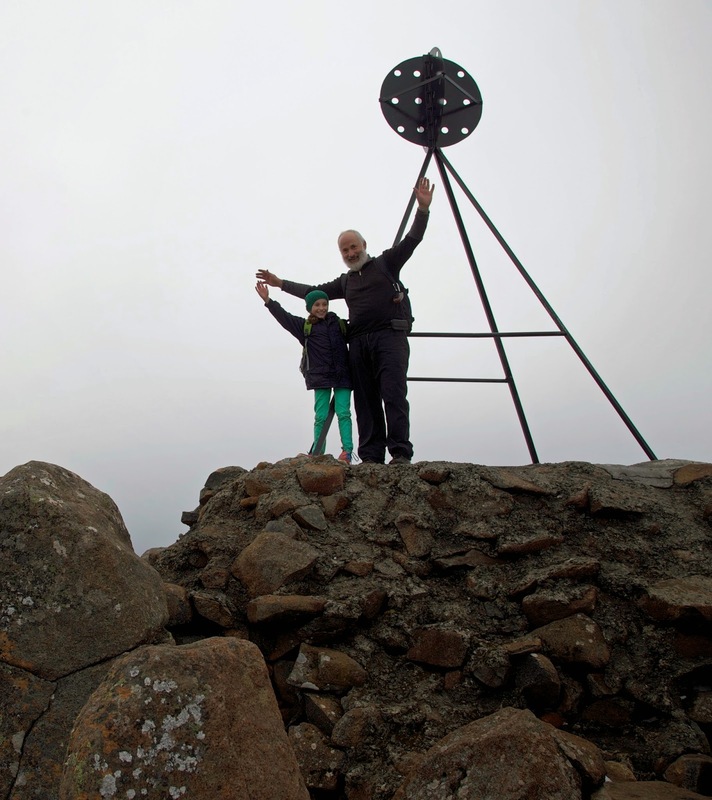 Still, we were glad to reach the top of the track, near the end of Old Farm Rd, in time for some thermos coffee and Anzac biscuits. It was comforting, familiar. So too was wandering back to the junction of Inglewood Rd and Strickland Avenue. There Tim and Sally would leave me, and Lynne would join me for the next section of the walk. We were just a few bends in the road away from home. Yet coming at my onward journey from this odd angle had me thinking about it differently. Tim and Sally waved us away as we walked steeply up Inglewood Road and onto the Inglewood Fire Trail. The track’s name should have been enough to remind us of this area’s recent history. But it took coming across a deep fenced-off water hole to get us thinking about the bushfires that ravaged our neighbourhood during the massive 1967 fires. Bush dams like this are used as supply points for the kind of “hand-to-hand” fire fighting that can happen in such bush. It’s no mere nicety: 13 people died in our street alone in the ’67 fires. At the top of that fire trail we joined another fire trail. That led us in turn to the Lower Sawmill Track, and to another encounter with history. 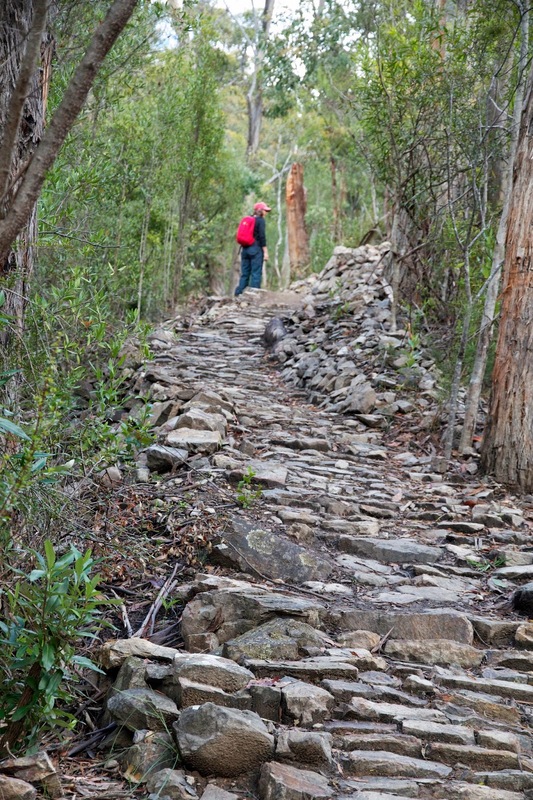 The Sawmill Track was probably constructed in the late 1910s/1920s as part of the Cascade Sawmill operation. Logs were dragged down the mountain to the mill and cut into boards, scantlings or fruit boxes. 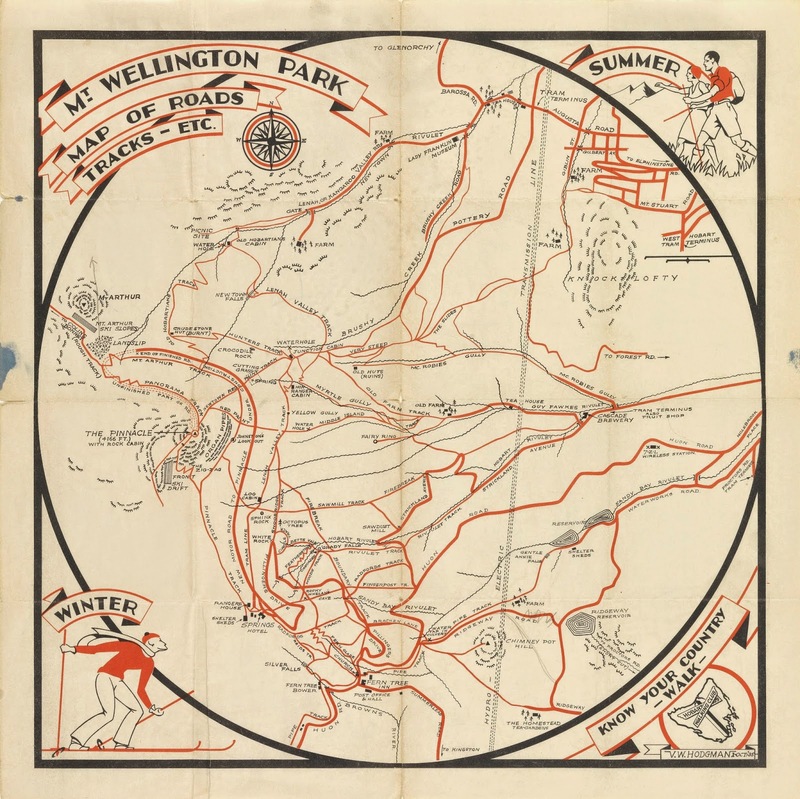 The mill may have been locally known as Woodleigh's Sawmill, but on the 1935 Hobart Walking Club map (shown above) it is simply marked as 'Sawdust Mill'. Although it had stood only a few hundred metres up Strickland Avenue from where Lynne and I had just departed, we had previously known nothing about it. It had ceased operations by mid-century, and its remains were probably consumed in the ’67 fire. 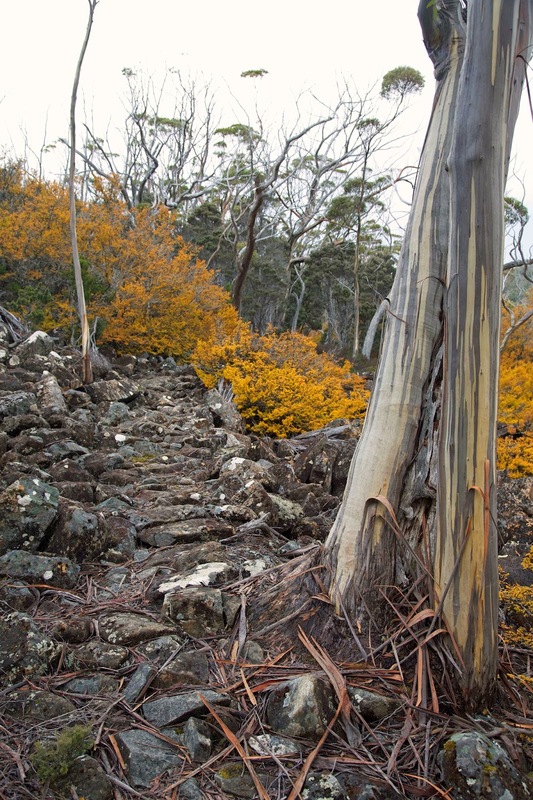 Walking on the Sawmill Track, a legacy of a now gone logging industry, felt like a local encapsulation of Tasmanian history. Only the slight cupping of the track hinted at the thousands of dragged logs that must have helped shape it. 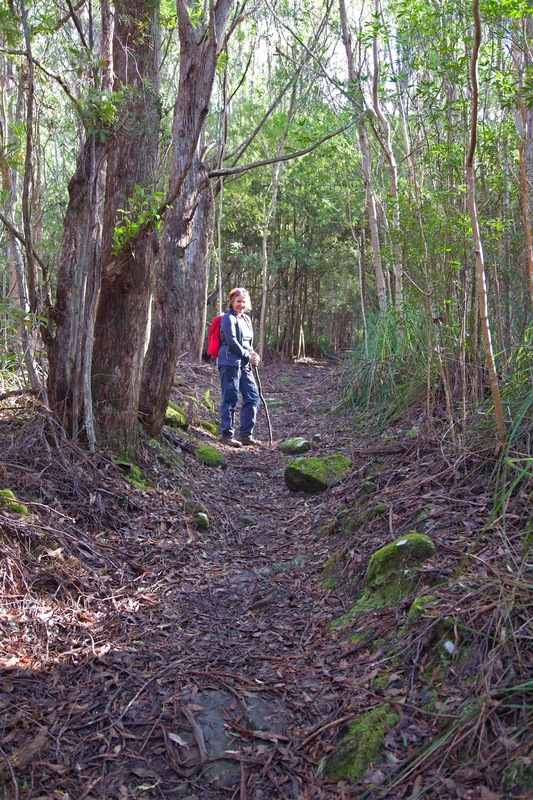 The now thickly-forested bush has recovered well from both logging and bushfires. We found it pleasant and green, soft underfoot, quietly grand. That was just as well, because it was now clear that the real climbing had begun. We stumbled ever more steeply upwards, and yet our lunchtime goal, Sphinx Rock, seemed unwilling to appear. The slope steepened, rock talus became more frequent. Surely, the earth scientist inside me reasoned, the prominent sandstone formation would loom out of the bush at any moment. It didn’t. Instead it was the cheerfully loud voices of our grandchildren atop Sphinx Rock that eventually told us we were (literally) within coo-ee of our lunchtime rendezvous with Sally, James and family. 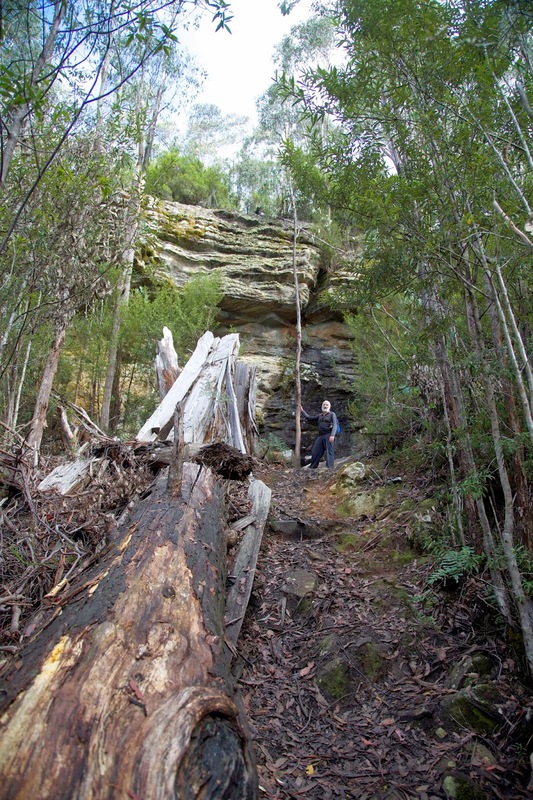 As we clambered up the very steep track – possibly an old snigging track – I recalled reading that Sphinx Rock itself may once have had a sawmill near the top of it. I know I far preferred finding my family picnicking at the lookout. Not all progress is bad. 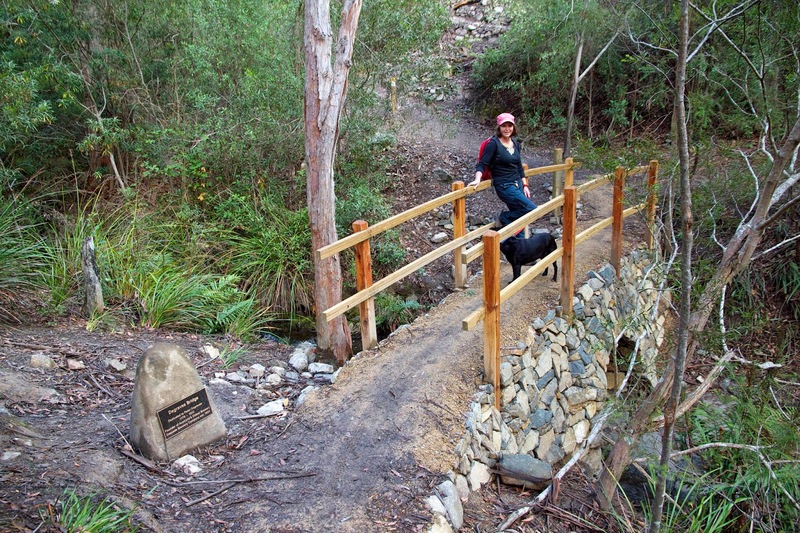 Despite the absence of Jorgensen’s “impervious growth”, our progress up the Rivulet Track wasn’t exactly swift. There were thickets of history and memory to be caught up in too. When we slipped into that valley, under the shadow of that mountain, I felt two things. Beauty and terror. What a beautiful place. What a terrifying space. This was my new forced-upon-me home. If they had given me a nice cottage and a family and a little garden and a pot for stew and said, ‘Have a happy life, Sarah’ I might have made a go of feeling the beauty better. They gave me a cell and a filthy bed and a hundred rough women to fight against and no hope and then they told me - work the long days, learn the long nights and do it for seven years - keep quiet - don’t make trouble and look to God. I didn’t know where to look. And the mountain loomed over me as though it might swallow me up or maybe just make me disappear into its shaggy, rocky sides*. It was hard to walk past that place without feeling the weight of misery that had led to it being called the valley of the shadow of death, a reference to Psalm 23. But a couple of tourists arrived at the gate of the now historic attraction, so we took our rod and our staff and moved on. We stuck with the Cascade theme however, with the Cascade Gardens and the Cascade Brewery just a short distance upstream. The Gardens were build around the boulder dam and trash trap that were part of the flood-fighting efforts dating back to the 1960s. Destructive flows were the downside of the reliable water that saw this area dotted with mills from the early 19th century onwards. In 1824 an English engineer named Peter Degraves built a timber mill here. The plentiful blue gums up the valley were ideal for building the boats used in the thriving whaling and sealing industry. But debt problems had pursued him from England, and Degraves was soon sent to gaol. Not fazed, he used his time in prison to plan a brewery. 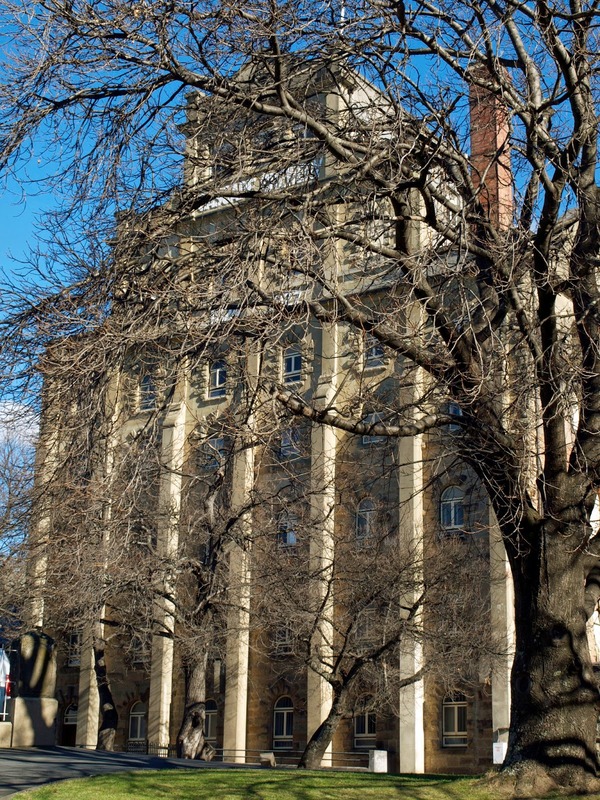 On his release in 1831 he put his plans into action, and by 1832 the Cascade Brewery opened. It’s amusing to us as locals to see what a shrine the brewery has become. Buses have made it a compulsory stop, brewery tours are well patronised, and some tourists risk life and limb standing in the middle of the busy road to get the perfect photo of the brewery’s façade. We Aussies love our beer! We took our own photos of the confected façade and continued our walk on the other side of the brewery, joining the new Cascade Track. 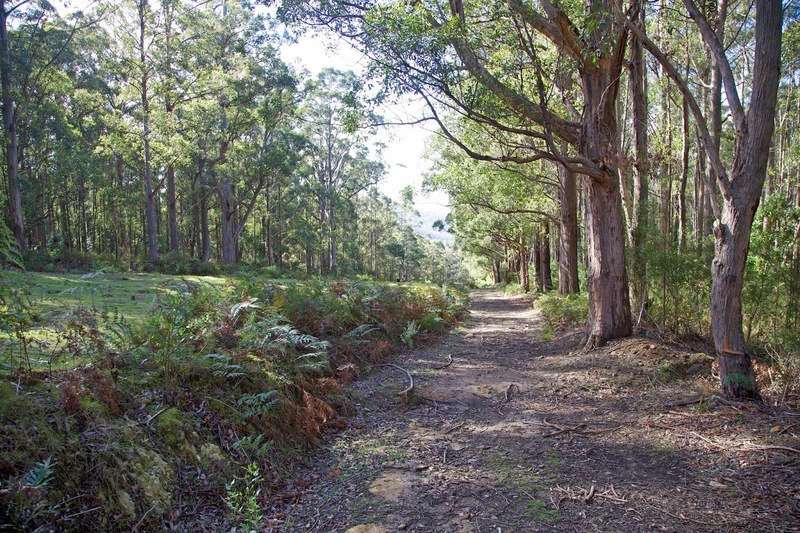 The well-constructed track took us away from the Hobart Rivulet and up the ridge between it and the Guy Fawkes Rivulet. The brewery, volunteers and professional track designers all contributed to the 2.2km track. The professional work includes a signature John “Snapper” Hughes stone-arch bridge across a side creek. Fittingly the bridge is named after Peter Degraves: one more Cascade connection. For us this was where the walking proper began. At the brewery we were scarcely above 100m in altitude. The new track would take us to around 270m. Then there would be only 1000m more to go. It was going to be such a simple exercise. 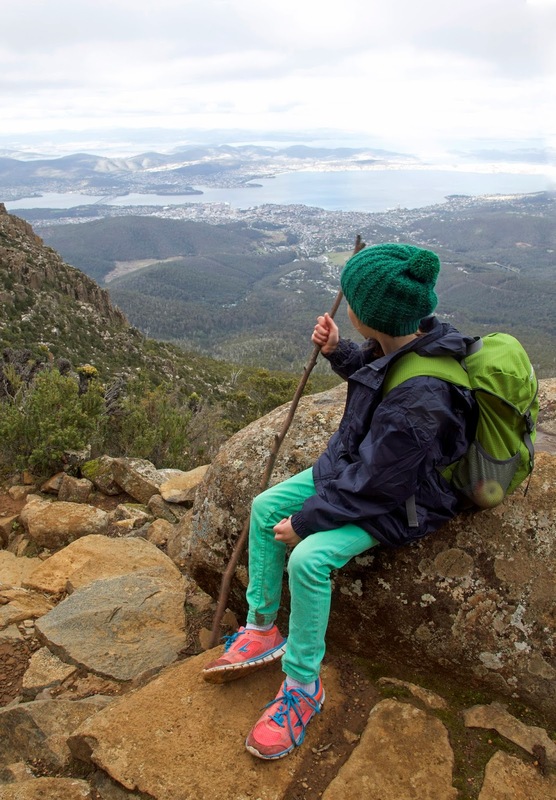 Walk from Hobart city upstream, close to the line of the Hobart Rivulet, until I got to the summit of kunanyi/Mt Wellington. Yes, I did expect a few complications with transport, especially once the walking group included three generations of family. But I hadn’t counted on the vast number of diverting stories I would uncover along the way. Take, for a start, the convict “king”: Jorgen Jorgensen. It would be hard to invent a story more colourful than his. Born in Denmark in chaotic times, he grew up with a thirst for adventure. 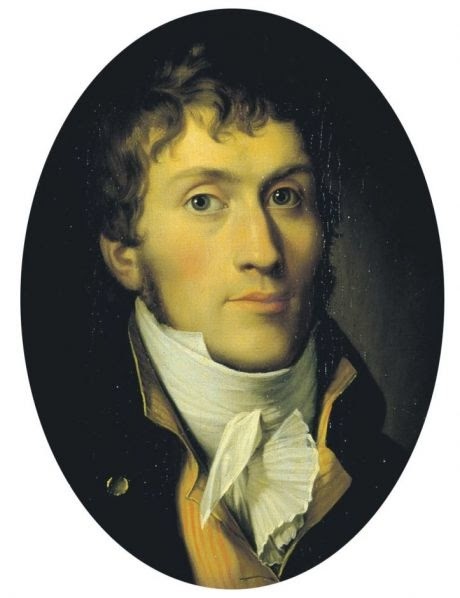 In 1809 he sailed to Iceland to trade, and while there he overthrew the Danish Governor and declared himself “Protector” of the Danish colony. Just two months later his “reign” ended with his arrest and imprisonment. Although released a couple of years later, he continued to find himself on the wrong side of the law. He was eventually convicted of theft by the British and was transported to Van Diemen’s Land, arriving here in 1826. His viking spirit was well suited to the needs of the colony, and he soon became an explorer of some of its wildest parts. 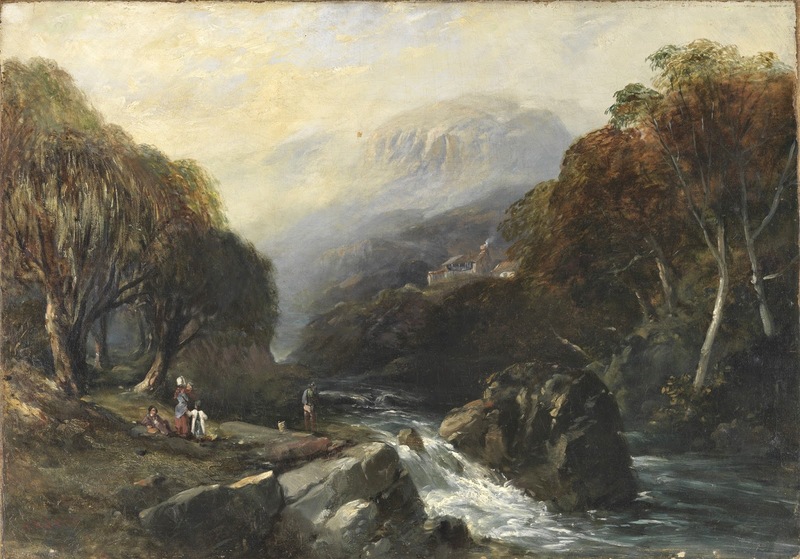 Back then that even included the Hobart Rivulet, just upstream of the town. Here’s his 1835 description of the area. 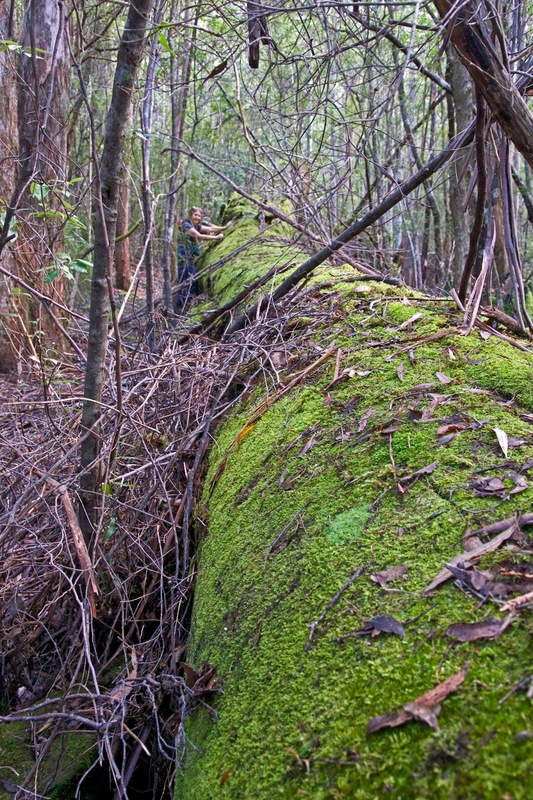 An impervious growth of the thickest brushwood, surmounted with some of the largest gum trees that this island can produce, and all along the rivulet as far up as where the old and upper mill now is, was impassable from the denseness of the shrubs and underwood, and huge collections of prostrate trees and dead timber which had been washed down by the stream and were strewn all around. On a chilly autumn morning, a couple of centuries later, Sally, Tim and I gather in Collins Street in the city. We’d planned to start with a warming coffee, but it’s 9am on a Sunday, and nothing is open. 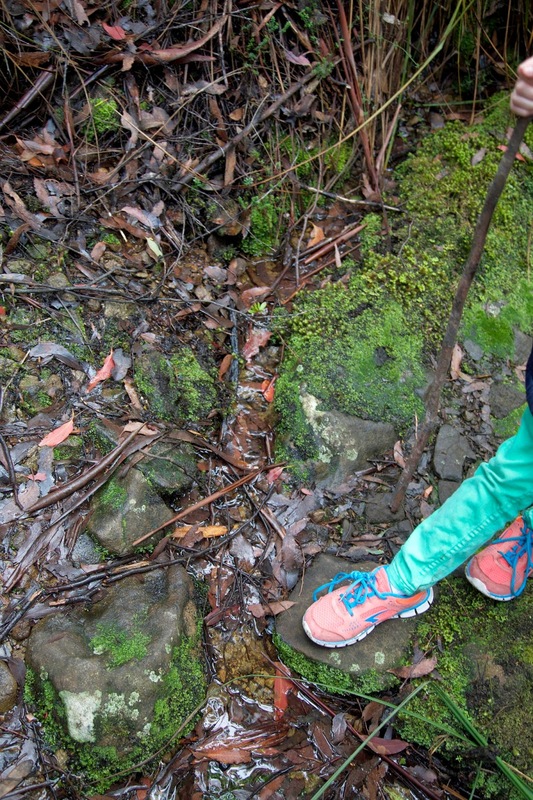 Instead we hoist our day packs and wander up for our first encounter with the Hobart Rivulet. Just downstream from Molle Street it has been tamed and corralled between sandstone and concrete banks, though boulders in its bed are a reminder of its former wildness. A little closer to the city the concrete restrains it still more, giving it the look of a glorified open stormwater drain. The rivulet hasn’t always cooperated with its imprisonment. It has flooded seriously a few times, most recently in April 1960 when lower Collins and Liverpool Streets had up to a metre of water over them. Jorgensen’s “huge collections of prostrate trees and dead timber” were among the culprits. After 1960 tree and boulder traps and trash racks were constructed upstream of the city to prevent such debris choking the flow in future. 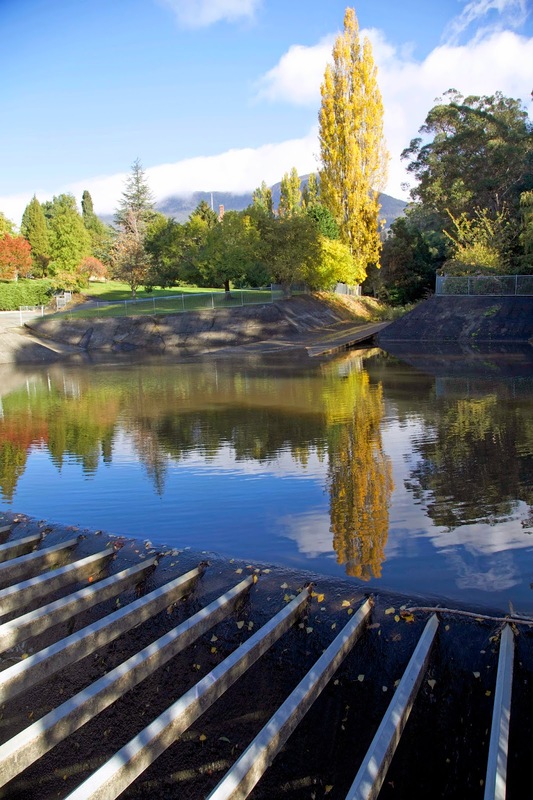 We cross Molle Street, enter the Hobart Rivulet Linear Park, and meet the first of these barriers. 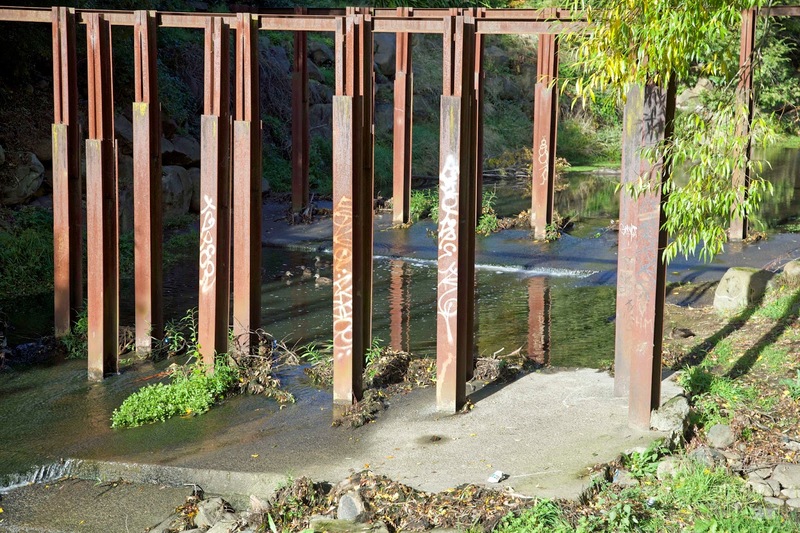 They stand like derelict factory foundations, rusty and awkward astride the stream. The factory reference is apt. 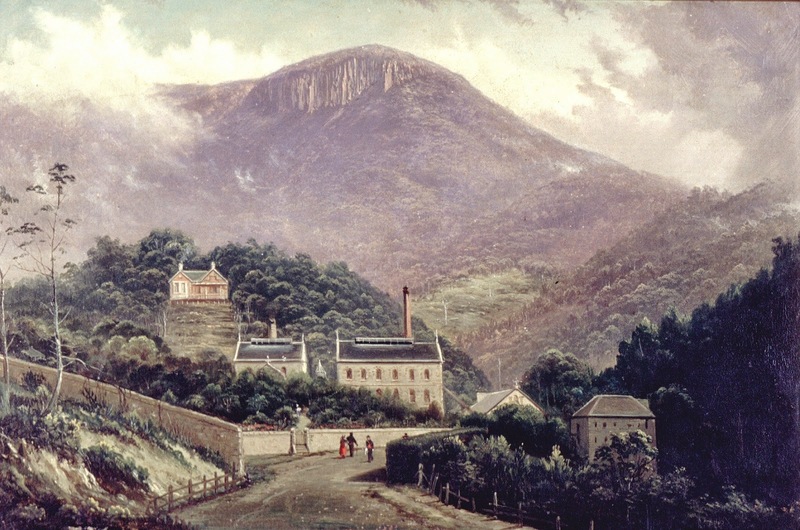 For much of Hobart’s early life the rivulet was not only its main source of drinking water, it also drove the wheels of the mills and factories that supplied the town. 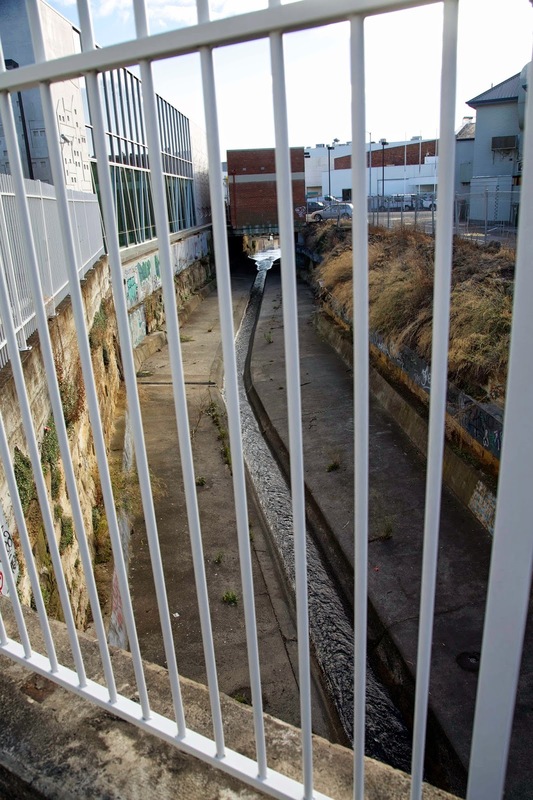 The 21st century’s gentrification of the Rivulet, once wild, then industrial, has been ongoing. The old Cuthbertsons’ tannery, which once supplied leather for Blundstone shoes and boots, has recently been demolished. Speculation is that a housing development will take its place. 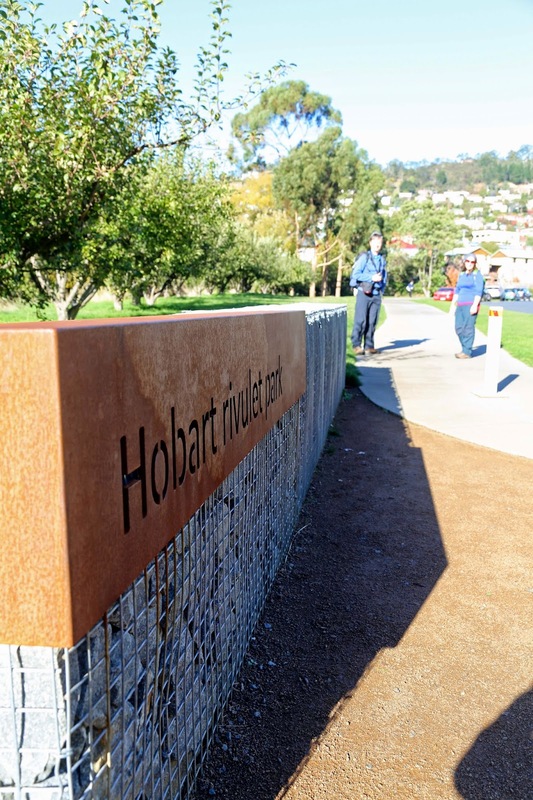 Sally vividly remembers the “fruity” air that used to waft up from the factory to the adjacent South Hobart School, where all three of our children began their schooling. Farewell now to idleness and impudence, lover-letter writing, throwing of packets &c. over the wall, and all the concomitants of clandestine taking and receiving. A truer report might have mentioned overcrowding, corruption, inadequate nutrition, disease and death. There were even riots among the women in the 1840s. 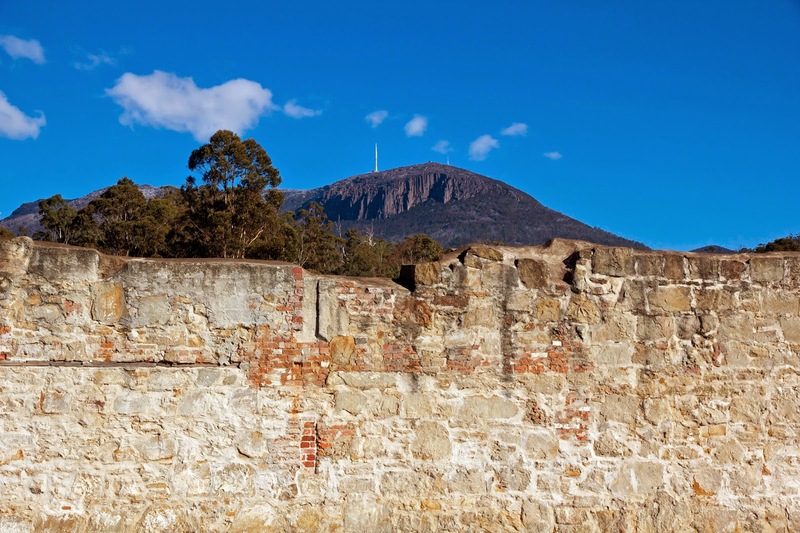 By the 1850s it had become a straight gaol, and it eventually closed altogether in 1877. Today you can be entertained by re-enactments of life in the Female Factory, with actors dressed in period costume. 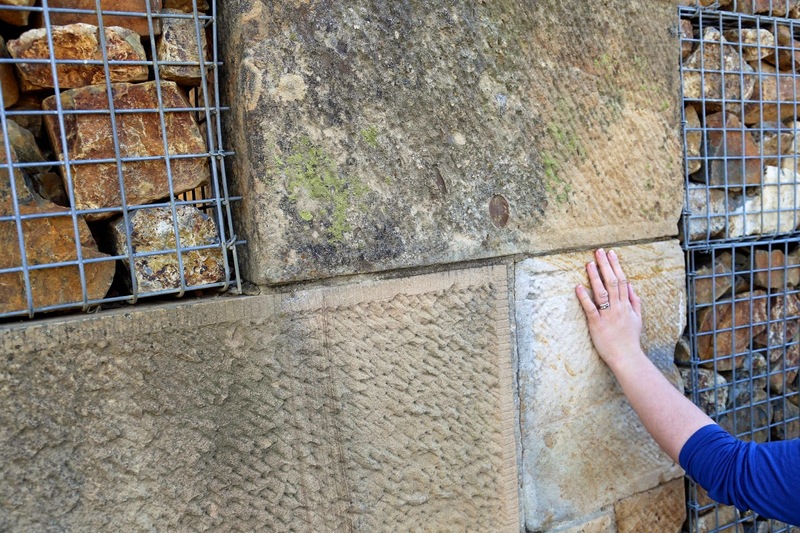 It’s one way of celebrating what is now considered of World Heritage significance. 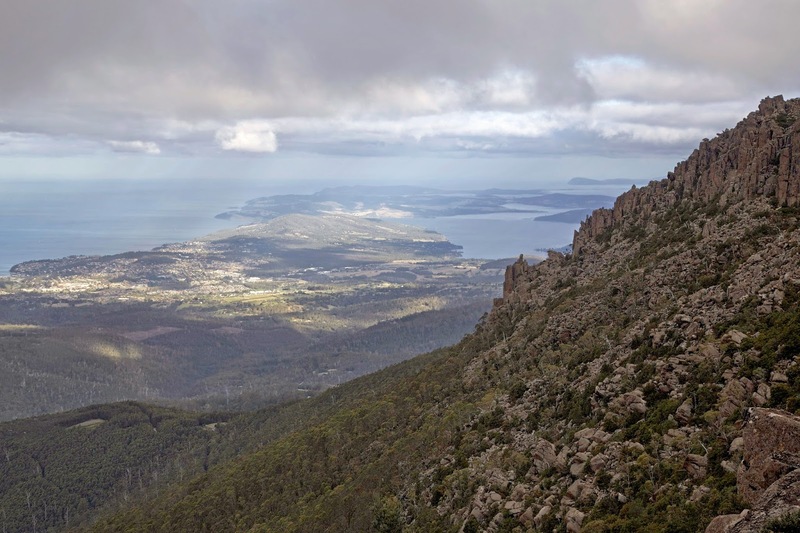 But while we're being entertained, it's as well to remember that Hobart’s past, like its Rivulet, is not easily tamed.